Air conditioning has become so commonplace in our every day lives that most of us can’t even imagine a summer in NJ without it. Unfortunately, the magic cooling gas at the heart of many air conditioners (Freon, a.k.a. R-22 refrigerant) has done a number on the ozone layer over the years – which is why it is scheduled for a full-on phase-out by 2020. 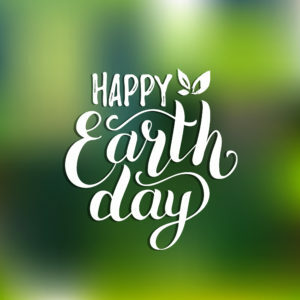 With the 49th annual Earth Day rolling around later this month, we thought we’d take a look at the past and future of refrigerants and their impact on the environment, and how the elimination of Freon might affect your decision about repairing or replacing your home air conditioner. Pre-1928 – Refrigerators use toxic gasses – ammonia (NH3), methyl chloride (CH3Cl), and sulfur dioxide (SO2) – as refrigerants. Frigidaire, General Motors and DuPont begin to search for a less dangerous method of refrigeration. 1928 – Thomas Midgley, Jr. and Charles Franklin Kettering invent a “miracle compound” called Freon, comprised of several chlorofluorocarbons (CFCs). 1930 – GM and DuPont form the Kinetic Chemical Company to produce Freon. 1932 – the Carrier Engineering Corporation uses Freon in the world’s first self-contained home air conditioning unit. The trade name Freon® is a registered trademark belonging to E.I. du Pont de Nemours & Company (DuPont). 1930s-1970s – CFCs, including Freon, are in widespread use in the air conditioning and refrigeration industries. CFC production reaches nearly one million tons per year. Early-mid 1970s – F. Sherwood Rowland and Mario J. Molina begin to lecture and publish about the destructive impact of CFCs on the Earth’s ozone layer. 1976 – the National Academies of Science issues a report affirming the destructive effects of CFCs on stratospheric ozone. 1979 – NASA begins measuring Earth’s stratospheric ozone layer by satellite. 1987 – The Montreal Protocol – a global agreement to protect the stratospheric ozone layer by phasing out the production and consumption of ozone-depleting substances (ODS) – is signed. 1990 – U.S. EPA regulations issued under amendments to the Clean Air Act phase out the production and import of ozone-depleting substances (ODS) consistent with schedules established in the Montreal Protocol. 1991 – Allied Signal (now Honeywell) patents R410A – an alternative to Freon. In recent years, R-410A has replaced R-22 as the preferred refrigerant for use in residential and commercial air conditioners in Japan, Europe and the United States. 1992 – The Kyoto Protocol establishes new standards and strict controls for greenhouse gas emissions, including brands of Freon that contain hydrofluorocarbons (HFCs) rather than CFCs. 2010 – The U.S. bans production, import, and use of R-22, except for continuing servicing needs of existing equipment. 2020 – The scheduled ban on remaining production and import of R-22; after 2020, all servicing of systems charged with R-22 will rely on recycled or stockpiled quantities. What does Freon’s phase-out mean for you? Although you do not have to buy a new R-410A system right away, it’s a good idea at the very least to properly maintain your current A/C. Routine maintenance will keep your cooling equipment running at its best and decrease the likelihood of a costly refrigerant leak. However, if you have an R-22-based air conditioning system that is more than 10 years old, you consider replacing your A/C now rather than later. Why? Manufacturer’s specials and other efficiency incentives can save you money on a new air conditioning installation. Contact one of our cooling system specialists today to learn about your A/C installation options, or to get a FREE, no obligation estimate on a new, high-efficiency air conditioner for your Northern NJ home.